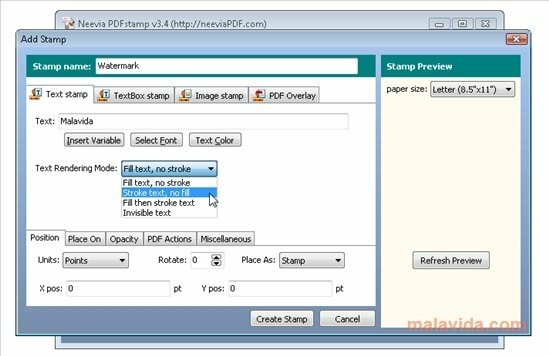 When you generate a PDF document you may want to add a watermark to it, data about the time and date it was created or a heading... All this is possible with Neevia PDFstamp. This software has support for Type 1, TrueType and OpenType fonts. 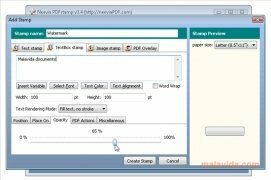 It also includes support for Unicode and it is compatible with images in JPEG, GIF, TIFF, PNG and BMP format, that can be used like images to stamp your documents. 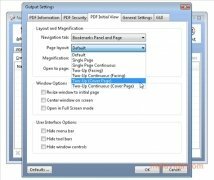 It supports PDF overlay, uses shades of gray, RGB and CMYK and it can place the stamp on top or behind the contents of the document. 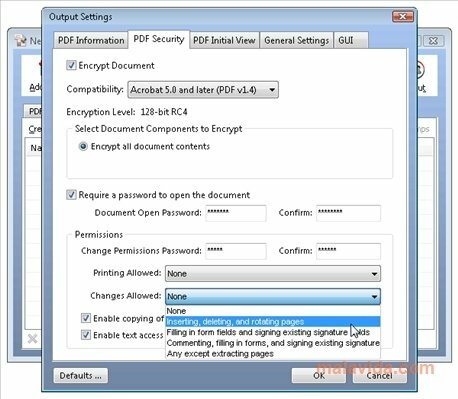 The software is also compatible with data encryption by means of the RC4 and AES protocols, and one of the best features is that it doesn't require any Adobe software, something that will save you a lot of problems when using it. 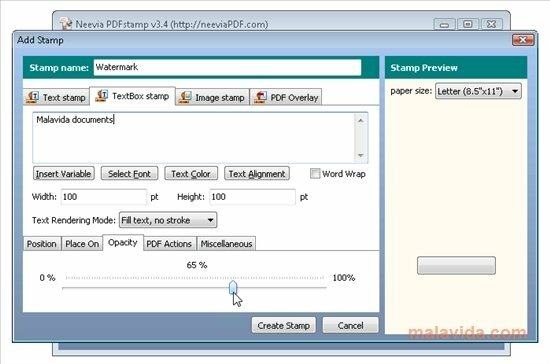 If you generate PDF documents very often, Neevia PDFstamp can come in very handy. 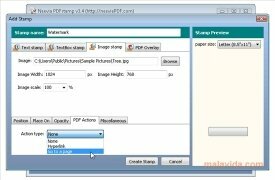 It is one of the best solutions available to apply stamps to PDF documents: it is easy-to-use and it has multiple functions and features. 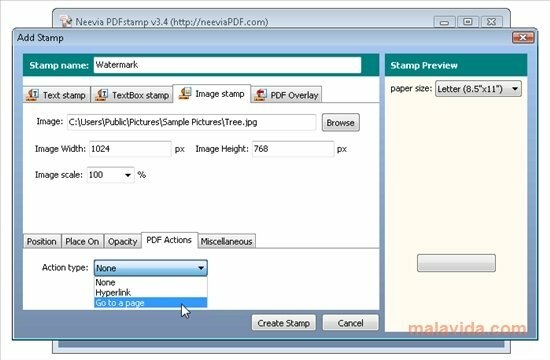 Add watermarks, logos and specific data to your PDF documents thanks to Neevia PDFstamp. 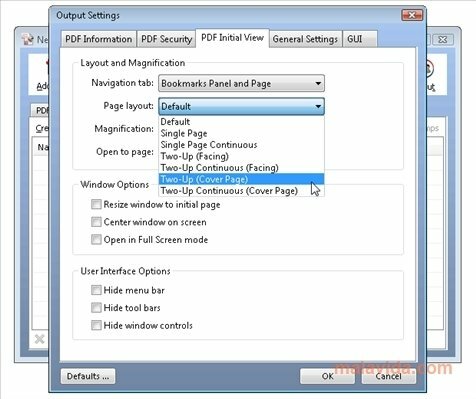 The trial version adds a watermark with the name of the application to each page of the PDF document.